I have been wearing contact lens since I hit puberty. 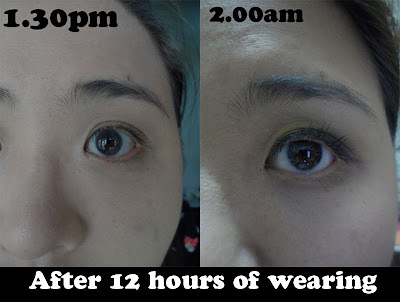 However I always keep changing contact lens brand as my eyes are sensitive and I can seems to find my perfect pairs because they always make my eyes DRY.Usually contact lens usualy maximum only can last me for 5-7 hours of comfortable wear and then my eyes will be teary because my eyes are dry. "Following a statistics shows that a majority of 57% of eyewear users in Malaysia uses spectacles only; 38% wears both spectacles and contact lens; while 5%aaaa wears solely contact lens. The main concerns of these non-contacts wearers are fear of application and comfort”. 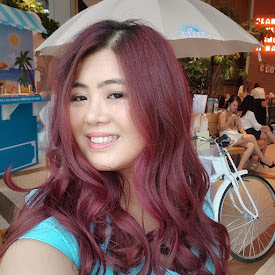 And remember two months ago, I blogged about my most comprehensive eye test in my life at Vision Space Optometrists here to make sure my eyes are healthy for contact lens ? 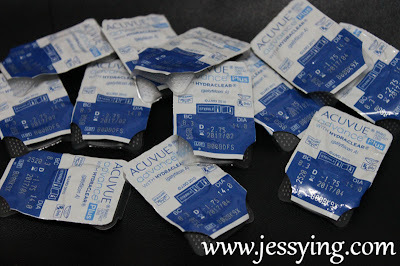 Well shortly after that I was given 3 months supply of ACUVUE® ADVANCE® PLUS contact lenses with HYDRACLEAR , a new bi-weekly soft lenses for review. And after 2 months of trying, I am happy to report my review here. It is a new bi-weekly contact lens which promise to provide optimum eye comfort for first time wearers, and would have those who long considered contact lenses to finally give it a try. 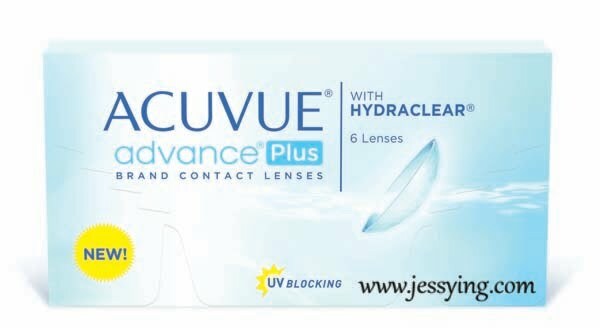 ACUVUE ADVANCE PLUS with HYDRACLEAR features 3D Comfort that optimize comfort in three dimensions for new wearers from day one to 14, all day long. 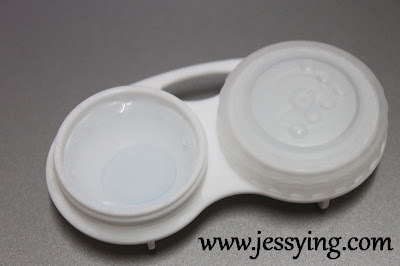 Do you actually know most of the contact lens now in the market are made of Hydrogel which can give less than 20% oxygen to our eyes, hence making our eyes feeling uncomfortable/drying very fast. In addition to 3D Comfort, ACUVUE ADVANCE PLUS contact lenses also provide breathability, UV protection and ease of handling. They are made of a this new silicon hydrogel material which is oxygen-permeable and provides 96% of available oxygen to the open eye. Note : *ACUVUE® ADVANCE® PLUS with HYDRACLEAR® contact lens is one of the six lenses that received the American Optometric Association (AOA -- a doctors' group) "seal of acceptance" for Class I lenses, only achievable when the lens is tested by an independent AOA-chosen lab. Also if you see from the picture above, the lenses are visibly tinted blue and marked inside out so that you can easily spot them in your lens case and insert them correctly every time. This will be helpful as I always have trouble locating my colourless contact lens when I am not wearing glasses and ready to wear my contact lens. My review : This is a soft lens and when I took out and wear , it actually feel fit and comfortable on my eyes as I was given 8.3mm base curve lenses to try as suppose to the common 8.5mm. What I concern the most when I wear contact lens are the comfortability, because I wanted to feel as if I am not wearing one. ACUVUE® ADVANCE® PLUS contact lenses with HYDRACLEAR gave me a very comfortable of 12 hours of wearing from day to night, I wore it without feeling drying and it is so comfortable that I don't even realised I am wearing contact lens. 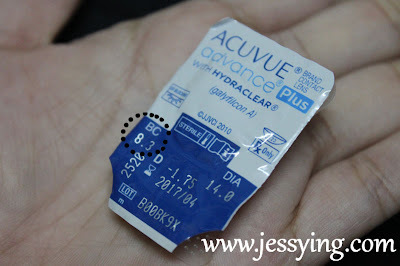 I do not experience any drying or redness at all for the 2 months of trying and there are days that I wore from morning 7am to midnight 12am, my eyes still feeling fresh and for that I must say this is the only Acuvue contact lens brand that so far gave me the most natural comfortable feeling on my eyes for. Overall, I will definitely re-purchased this as I dont think I can survive without contact lens because with them I feel so FREE that I can do whatever I want without restriction and yet feeling comfortable as I don't think I am ready to go under the laser to correct my eyes. ACUVUE ADVANCE PLUS with HYDRACLEAR contact lenses are now available by prescription only at all major optical shops in Malaysia. Each pack of 3 pairs or 6 contact lenses retails at RM69. Ooooh, they sound really good and comfortable too! If one box is RM69 with 3 pairs, means I can use for 6 weeks? Jamilla : They are , am loving it!!! Ooh. Price is very reasonable! My lenses are gonna due soon too so there's a chance I might just try this one! Thristhan : give a try ! I don't get even discount if I were to buy...however I see that now they having promotion that Save RM15 when you purchase 2 boxes of ACUVUE® ADVANCE® PLUS!